So, what is it that’s lacking? “Primarily, the biggest challenge banks face today is customer data, which is fragmented across various banking systems. Banks are competing with tech giants in the retail industry who have gone way ahead in understanding the customers and in impressing them. And what I see is that banks even now work on an account-centric model rather than working on a client-centric model, i.e. customers are treated as accounts and not as humans,” assertively says, Subramaniam. Banks even now work on an account-centric model rather than working on a client-centric model. He believes that banks are at a tipping point to run faster to retain their customers by introducing ‘disruptive’ ways of understanding their customers. Without proper customer intelligence, there is a high likelihood that banks can be displaced as just money transfer entities. “True customer intelligence, helps the banks to bring the human angle to their engagement. Customer-Centric banking is a culture that needs to be data-driven and should be inculcated in banking personnel systems and customer touchpoints. With a good customer intelligence, banks can understand their customer journeys and provide personalized recommendations,” shares Subramaniam. Customer-Centric banking is a culture that needs to be data-driven and should be inculcated in banking personnel systems and customer touchpoints. Spearheaded by Anand Subramaniam, Aspire Systems unveiled imagyn.ai recently. It is a data-driven AI-enabled framework that can help the banks solve the problem of improving Customer Data Quality, Create One version of the customer and apply machine learning to effectively detect patterns of customer data for improving the experience of the customer. Given that poor data quality and customer segmentation is the biggest challenge banks face today, the unique AI/ML driven framework channels all information like account history, transaction details, and customer profile into creating one true version of each banking customer. In simple terms, imagyn.ai transforms account centric legacy systems to client-centric producing intuitive interactions with customers. Its end objective is to help banks with Customer-Centric Banking. “One unique attributable feature is its ability to merges all the customer records by taking the best version of data from each record to create a Golden Record, making customer insights at an enterprise level and not just at an account level,” explains Subramaniam. Apart from giving a holistic approach to customer satisfaction, the platform is designed to improve fraud detection by detecting anomalous transactions. Everybody is convinced that implementing AI and ML is the way forward for BFSI to attain customer satisfaction which is the key to generating revenue in the future for the BSFI at large. Conversational AI, therefore, cannot be missed. Basic chatbots – operated 24×7 and if trained well – can manage customer queries effectively, and the key is they need to be trained well, implies Subramaniam. A conversational AI dwells on the power of customer data and uses the insights to offer services and recommendations to customers ‘as though’ a smart banking assistant (human) offers in the financial centers. “A conversational AI dwells on the power of customer data and uses the insights to offer services and recommendations to customers ‘as though’ a smart banking assistant (human) offers in the financial centers. The power of AI is such that it has the capability to address a customer’s question with timing, relevancy, and predictability. AIs can change the customers thinking about banks and can get customers to engage more with banks,” envisions Subramaniam. Revealing further, Subramaniam opines that Machine Learning platforms, on the other hand, have the ability to identify, engage and predict the future. They not only help in detecting data patterns but also have the ability to enrich data. Machine learning platforms, because of their innate ability to understand data patterns, help in pattern recognition and with better business recommendations. A highly mature machine learning platform can save a bank millions of dollars in terms of arresting problems even before they occur. “A highly mature machine learning platform can save a bank millions of dollars in terms of arresting problems even before they occur. At Aspire, we are constantly evolving to offer solutions that can reduce customer attrition rates. Our solutions are pushing banks to embrace a customer-centric approach to enhance trust and loyalty among customers. 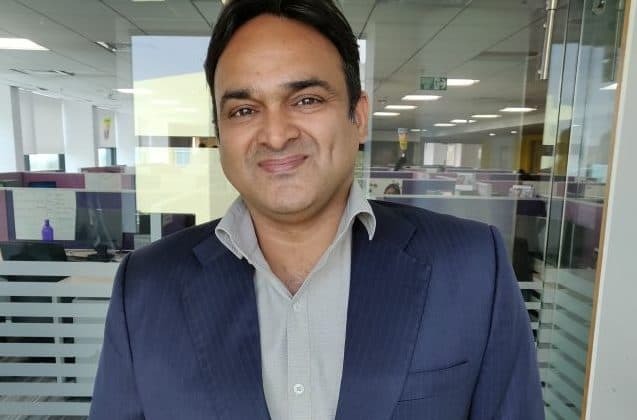 With the launch of imagyn.ai, at Aspire Systems the team is all set to provide artificial intelligence and machine learning implementation for banks and financial institutions globally,” aspires Subramanian. Indian banks are not digitally there yet! A wide gap persists, says AI expert Anand Subramaniam 0 out of 5 based on 0 ratings. 0 user reviews.